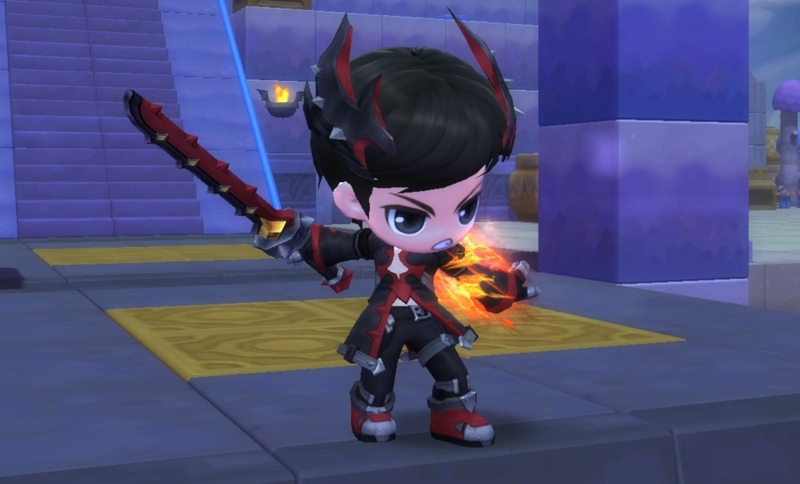 Update (2:00 PM PDT): An updated has been deployed to resolve an issue where players are unable to login into their Google accounts on Nexon Launcher if running Windows 7. Please note that this update will help resolve the login issue for a specific group of players. We are still looking into fully resolving this issue impacting all players. 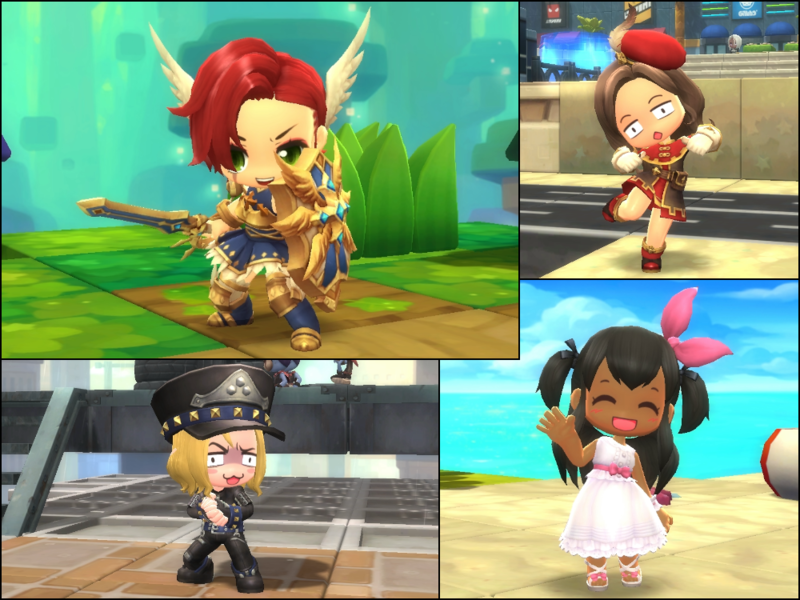 The day is finally here: MapleStory 2 is finally launched, free to play for Maplers all around the world! It's been an exciting 6 months since our announcement back in April, and we're thrilled to finally be able to share this new dimension of Maple World with everyone. We've got plenty more in store for you as the days, weeks, months and years unwind, and we hope you have a blast with our very first update and the new job, new maps, new monsters, new events and new outfits to come with the Official Launch Update! The Runeblade uses a powerful combination of heavy melee attacks and powerful elemental spells that become bolstered with the runes applied to the Runeblade's two-handed blade. Use the Flame Sigil to boost your health and make your Echoing Blade assault burn the opposition, or apply the Frost Sigil and harden your armor along with your weapons, causing the Impact attack to freeze the ground your foes fight on. With attacks and spells that devastate in both the melee and at a distance, Runeblade's an effective fighter against nearly any opposition. Note: Skills may be upgraded with additional Skill Points, increasing their power. Stats in the list below are for their Lv. 1 versions. Attack with 3 slashes of your blade, each dealing 46% damage to 5 enemies up to 3m in front of you. This skill attunes with your Flame, Frost and Storm Sigil skills. Your training allows you to absorb 1 spirit every 0.1s, and increases your intelligence by 70% of your strength. Teleport forward to the nearest enemy within 6m. If there are no enemies in range, teleport 3m instead. This skill can cancel out other skills. You are immune to knockback while casting this skill. Summon arcane echoes of your blade, dealing 63% damage 7 times to 8 enemies up to 3m in front of you. The echoes fade when you perform another action. This skill attunes with your Flame, Frost and Storm Sigil skills. Consumes 30 Spirit. Drive your blade into the ground, creating a shock wave that deals 303% damage to 5 enemies within 2.25m. This skill attunes with your Flame, Frost and Storm Sigil skills. You are immune to knockback while casting this skill. Consumes 45 Spirit. Throw 3 arcane blades at the closest enemy up to 7.5m in front of you, dealing 49% damage. This skill attunes with your Flame, Frost and Storm Sigil skills. Consumes 40 Spirit. Apply a fire rune to your blade that lasts 240s, increasing fire damage by 2%. While active, certain skills become fire skills. Summon a rune 3m in front fo you. The rune pulls enemies into it, dealing 114% damage to 8 enemies within 3.75m. Conjour 5 arcane blades. Once per second, 1 blade flies at the closest enemy within 7.5m, dealing 113% damage. Consumes 15 Spirit. Apply an ice rune to your blade that lasts 240s, increasing ice damage by 2%. While active, certain skills become ice skills. Summon a shield that lasts 9s, increasing physical and magic resistance by 10. This skill attunes with your Flame, Frost and Storm Sigil skills. The teaching of the Jibricia Sect unlock the power of your rune magic. While Flame Sigil is active, your max health increases by 1% and fire damage increases by 1%. While Frost Sigil is active, your defense increases by 1% and ice damage increases by 1%. While Storm Sigil is active, your evasion increases by 1%, your movement speed increases by 1% and your electric damage increases by 1%. The teaching of the Pelgia Sect have sharpened your swordsmanship. Increases weapon attack by 1% when you have a blade equipped. Apply a lightning rune to your blade that lasts 240s, increasing electric damage by 2%. While active, certain skills become electric skills. Charge forward 7.5m, splitting the ground with your blade to deal 53% damage to 5 enemies in your path. The split explodes, dealing 106% damage to 8 enemies in range. This skill attunes with your Flame, Frost and Storm Sigil skills. Consumes 40 Spirit. Place 9 runes of honing in a square around you. Allies who touch the runes gain 2% critical damage for 180s. Passively increases your critical damage by 1%. Amplify your rune power with this secret technique handed down by Master Ishura. Increases fire, ice and electric damage to enemies by 2% for 10s. Travel to Karkar Island, a gorgeous resort island where absolutely nothing could possibly be wrong! That is, aside from the swarms of insects, undead monstrosities, vile devils and... belligerent gaming consoles? Party up with your friends and delve into six new Normal Adventure Dungeons, and when you think you're ready, grab 3 well-armed buddies and venture into the new Labyrinthine Halls Hard Adventure Dungeon. 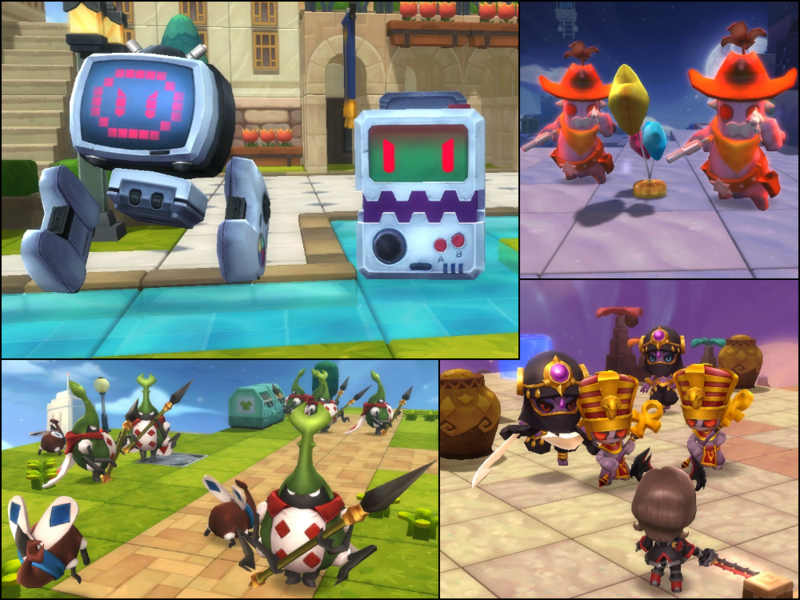 There's plenty you'll have to contend with as you reach for the new level cap of 60! Get more Ability and Skill Points, upgrade your gear and show the forces of darkness that the cute is not to be underestimated! The Style Crate has made its grand reveal, containing a vast selection of cosmetic items, ranging from clothing to wings to jewelry and even weapon skins. Not only does each item within the Style Crate have the exact same chance of being rewarded, but you can dismantle the unwanted outfits into Style Coins, which can be used to purchase exclusive outfits and badges! Check out the full details of the Style Crate on its own page, and learn more about the rest of the sales here! Check it all out in the Mapleopoly Event and More post! There's much more than a new job, over 20 new maps, special sales and killer events. 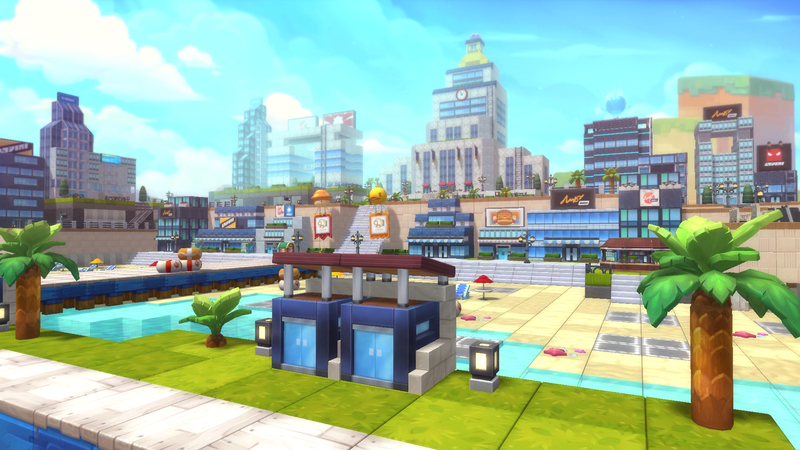 Check out the full list of changes that have come with MapleStory 2's Official Launch! Level Cap increased from 50 to 60. Players who destroyed or stored their basic class weapons in Royale Park of Mushking Royale will now get a new set of weapons for tutorial. You will no longer receive a message to hide window when a furnishing is purchased with 0 mesos. You will still receive the message when furnishings are purchased with either Red or Blue Merets. If you head below the Redsand Hills, then you will come to the entrance of a huge pyramid named Nazkar. You can enter the pyramid by entering from the top entrance of the pyramid. Nazkar is split into Nazkar Passageway and Nazkar Central Chamber where the final boss "Kabo" is. In order to use channel/world/super chat, at least one of the character in your account needs to be level 50. Daily limit for using channel chat has been set to 20 times. Daily limit for using world chat has been set to 20 times. Daily limit for using super chat has been set to 20 times. Daily limit of combined channel/world/super chat has been set to 40 times. The "Server" button in the character selection screen has been removed due to a technical error when switching servers. In order to switch servers, you will now need to restart your client in order to view the Regions. Note: The Formal Top (M), Formal Top (F), Formal Pants (M), Formal Skirt (F) and Skull Mask were originally listed in the Meret Market. This was in error, and we apologize for the confusion. Amount of Style Coins you receive can differ between the outfit/skin in range of 1 to 3 Style Coins. 2 Style Coins are given for dismantling weapon skins per job. The Hairstyle Vol. 1 from the Trend-setter Trophy will now be counted towards your completion criteria. The Shadow Supply Merchant will now appear into Queenstown. Armor Pieces from the Exquisite Armor Box is no longer tradable. Weapon Pieces from the Exquisite Weapon Box is no longer tradable. Channels improperly labeled as EAST/WEST Ch. 21 and EAST/WEST Ch. 22 on the North America servers will now properly display as Ch. 21 and Ch. 22. Channels in the Europe region will now properly be listed in order. The Daily Mission that requires players to spend 1,000 Mesos on furnishings has now been removed. For the epic quest, The War Chief's Mission (Lv. 35), players can now teleport back into the dungeon through their quest journal if they disconnected. An issue has been resolved where players will no longer continue to run when switching control layouts. The "Guild Storage" tab is now called the "Gift Bank". The "Donation Log" is now called the "Gift Log". In the News bulletin board, attempting to open an external browser window with Chrome will cause the in-game browser to become unresponsive. The Knight's Iron Shield animation effects will continue to persist after activating the skill. If a player disconnects while using a Gender Change Voucher, the hair and face can no longer be changed. There are still trophies that cannot be completed due to missing furnishings available. Some Audio and Streaming software can cause the game to be stuck on the Nexon Logo Screen. They must be deactivated before launching the game. The Maple Guide quest, "Homespun Fashion", cannot be completed without purchasing a template with Merets because some of the templates are missing. 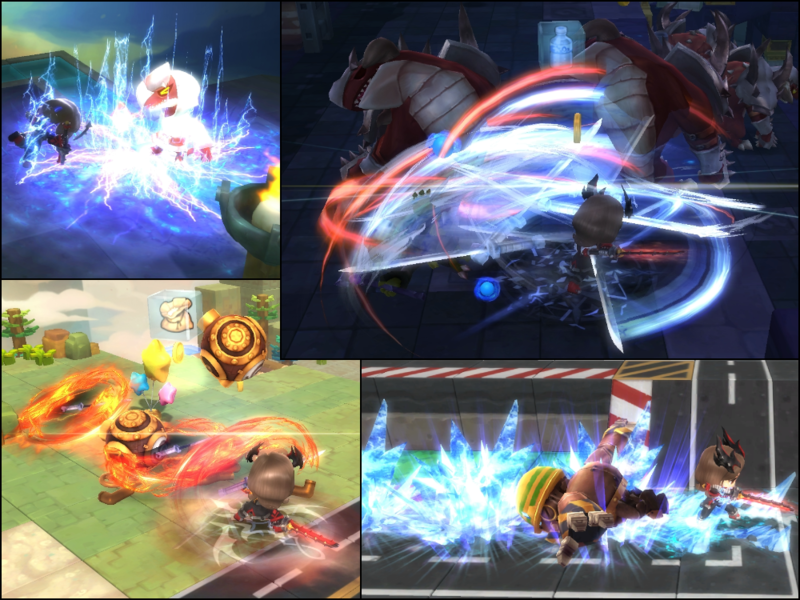 The Heavy Gunner's Electric Blast skill and Archer's Arrow Storm and Screwdriver Shot skills do not function properly when attempting to charge them up, causing Screwdriver Shot and Electric Blast to not deal damage (unless the Heavy Gunner learns Blast Charge Kit) and Arrow Storm to always be centered on the Archer. We expect to fix this issue with our next scheduled maintenance.